Bio: This is another 'online text book' style course, sponsored by the communities and developers around the language rather then an institution. 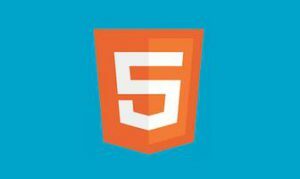 The material is focused primarily on the changes in HTML5, including new features and revised recommended practices. It is not however, a comprehensive HTML course. The material is provided largely through articles and example code, rather than videos or lectures. This is complimented by a number of examples using the external JS Bin where students can experiment with the examples easily. There are a number of projects suggested to the student, but no means to grade or authenticate project work so it largely becomes a 'you get out of it what you put into it' course. Accomplishments: The graded material consist of multiple choice and text prompt quizzes, which are at least a bit more demanding and through then the similar Linux course I took recently. Between the six units and the final I scored a 96% on the exams. This entry was posted in CourseReview and tagged CompSci, CourseReview, HTML5. Bookmark the permalink.